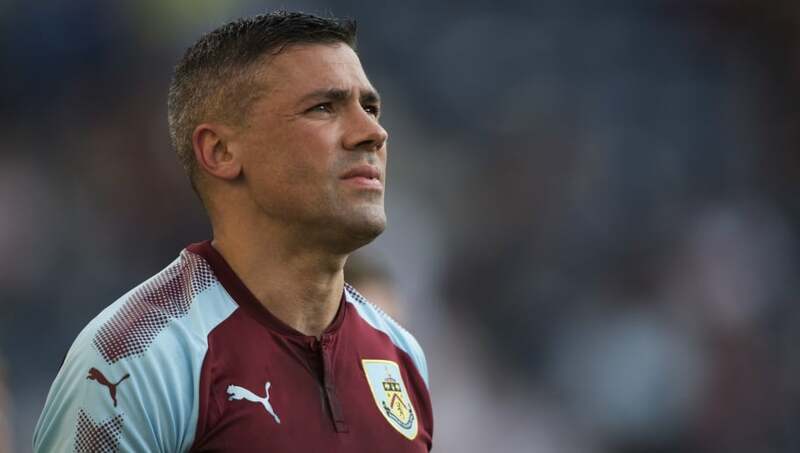 ​Bu​rnley striker Jonathan Walters has admitted that he could leave the Clarets this summer having failed to break his way into the first team over the course of the season. The 34-year-old has only managed 95 minutes of football for the club since joining from ​Stoke last year, and is looking for a way out. After being forced off the pitch injured in January, Walters spent a long time on the sidelines as he watched Sean Dyche continue to guide his team into a Europa League spot for next season. However, since returning, Walters has found that breaking into the starting lineup has been no easy feat, and while he can't complain too much, first team football is his main priority at this point in his career. ​"I had a few little niggly injuries, ankle and knee, and then I've been fit for a while, but not been picked," Walters said, according to the Lancashire Telegraph. "But I can't moan. The team is doing well and I suppose that's part and parcel of it. I'm delighted to come over and hopefully get some minutes and show I'm still a footballer. "I've been fit for a while and in the squad and not been picked. Look, I can't moan too much. The team is doing ever so well, but I have spoken to the manager and I think I'm available to go if needs be. "I'll assess it and see what's there, but first and foremost, there are these games. I want to get back playing, get minutes under my belt and show I am still playing."